Brides are moving away from the generic “cookie-cutter” wedding decor, and giving their guests more memorable personal touches. 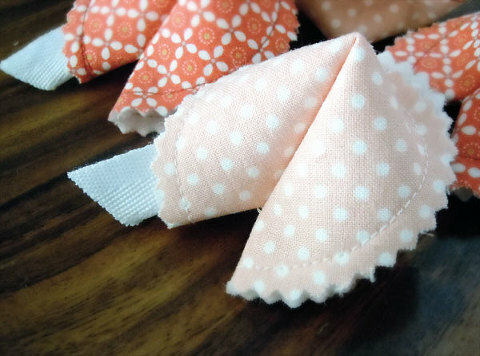 Check out these great DIY No-sew Fabric Fortune Cookies! Put in a personal message, or insert your wedding date with your “Save-the-Date” card! 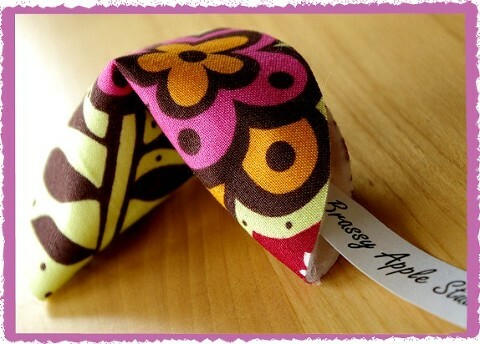 Follow the Brassy Apple’s DIY instructions here!